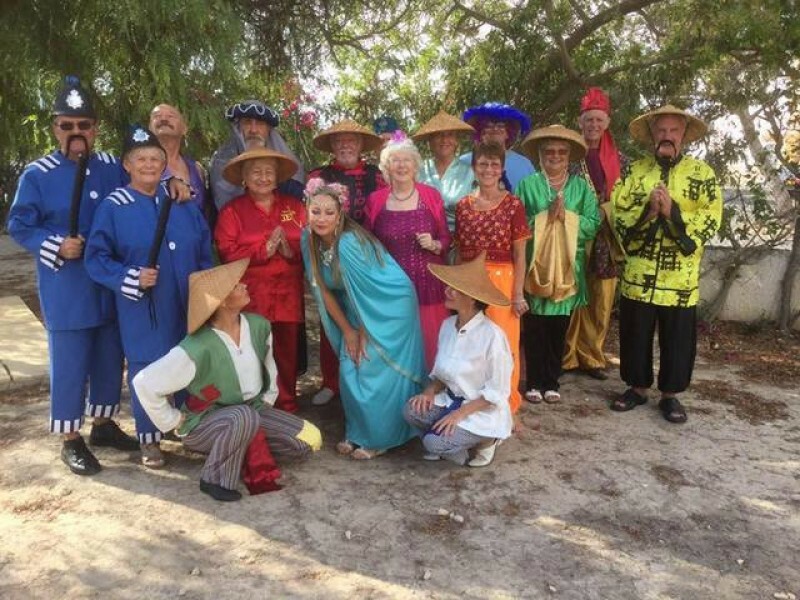 Stagestruck is a non-profit making theatre group who put on two shows a year, musical comedy in May and pantomime in November, to raise much needed funds for the Torrevieja Alzheimer's Association and other local charities. The group has been going since 2011 and we meet twice a week for rehearsals at the Casa Ventura bar in San Luis. We present our shows at the Cardenal Belluga Theatre in San Fulgencio. What makes us different to other groups is that we use original scripts. Our previous director, Stella Reardon wrote a number of scripts and I, Leigh Humphries have continued to do that since I took over as director in 2014. We are a very friendly and sociable group who welcome anybody with or without experience of the theatre. Our last show, 'Just Another Week in Paradise' was a great success and we were able to donate 2700 euros to the Torrevieja Alzheimer's Association. We also made smaller donations to other local charities; a total of 3500 euros. Rehearsals are in full swing for our next show, 'Aladdin and the Magic Lamp' on the 17th, 18th and 19th November. It promises to be a very funny show with a great cast of characters. Tickets are now on sale and details of where to purchase tickets can be found on the poster. In addition to musical theatre, a small group of us perform Murder Mysteries in local bars and venues. The money raised from these evenings go towards putting our shows on and that enables us to donate all of the proceeds from our ticket sales. The evenings have proved extremely popular and we are booked up until Summer of 2017. For details of the Murder Mystery evenings, please request to be added to our mailing list. For further information or to be added to our Mailing list, please email leigh.humphries58@gmail.com, telephone on 679679584 or message via our Facebook page; www.facebook.com/stagestrucktheatregroup.